A dental emergency can happen to anyone, at any time. You should never ignore an injury to your gums or your teeth, as they can be potentially serious. Ignoring a problem such as gum or tooth injuries can increase the risk that you will sustain more permanent damage. You may also need more expensive treatment later if a problem is not addressed immediately. Here is what to do for some of the most common dental emergencies. If you have a toothache that is bothering you, rinse your mouth with warm water. Food that is lodged between teeth can cause pain, so use some dental floss to get rid of it. If your mouth is swelling, a cold compress should be applied to your cheek, or wherever the swelling is occurring. Never make the mistake of putting aspirin next to a tooth, or against the gums as it can burn the gum tissue. You can also use clove oil or chamomile as natural pain relievers and to reduce swelling until you can get to a dentist as soon as you possibly can. If it is possible, retrieve the tooth, and rinse off the root of the tooth with water. Be careful not to remove any tissue fragments. If at all possible, try and put it back in place, but do NOT force it into the socket. If this is not possible, put the tooth in small cup of milk. If you do not have any milk, use water that has a pinch of salt in it. Above all, see your dentist as soon as possible. If the accident happened during normal office hours, call and try to get a same-day appointment. It is possible that gum tissue and root damage also occurred. Apply a cold compress to your mouth or cheek to relieve pain, and take an over-the-counter medication for pain such Advil, or clove oil, and use as directed. Make an appointment with your dentist as soon as possible. For starters, if you can dislodge the object with dental floss, do so. But be very careful and avoid using force. NEVER use a sharp object to dislodge anything as you can cut your gums or scratch the surface of a tooth. See Dr. Nabi or Dr. Socoloff as soon as possible if you cannot get it out. If you lose a crown, try and retrieve it if possible. Make an appointment with your dentist as soon as possible and bring the crown with you. If you cannot get an immediate appointment, and the tooth that lost the crown is causing you pain, use a cotton swab to apply a small amount of clove oil to that area. If at all possible, try and slip the crown back over the tooth. Before you attempt to fit it back over the tooth, coat it with toothpaste, or an over-the-counter dental adhesive to hold it in place. DO NOT use super glue. If a wire breaks, and is poking you and causing pain, use the eraser end of a pencil to try and push it into a place so that it is not sticking into you. If that is not possible, cover the end of the wire with a small cotton ball. DO NOT cut the wire, as it could become dislodged and you could swallow it, causing a whole new set of problems. See your orthodontist as soon as possible. An abscess is an infection that can occur between the teeth and gums. They can also occur around a tooth root. These can be very serious and damage tissue, as well as the teeth that surround it. The infection could also spread to other parts of your body causing more problems. Oral health is closely related to and affects health in general. You should see your dentist as soon as possible if you have an abscess. If you cannot get an immediate appointment, try and ease the pain by rinsing your mouth with a mild salt water solution. 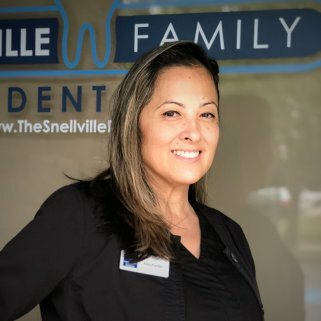 Our Providers at Snellville Family Dental have seen and treated every dental emergency in the book. 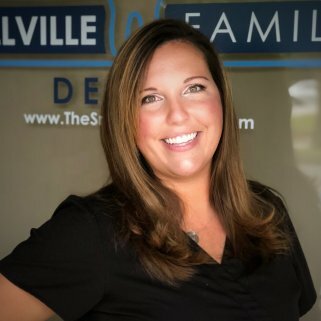 Dr. Nabi and Dr. Socoloff work with their team of experienced and professional dental lab technicians to give you fast relief in an emergency dental situations, and restore your teeth to the state they were in before your accident. 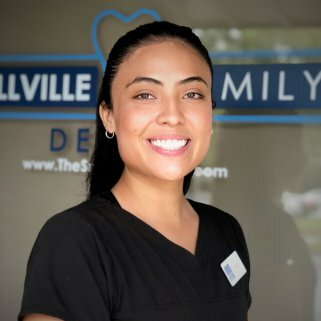 If you want to learn more about treatment for dental emergencies, or any of our other dental restorative procedures, please feel free to Contact Us and schedule a consultation. For more information, please contact us and we will respond as soon as possible. Has it been 6 months since you've had your teeth cleaned and checked? Do you have one or more missing teeth? 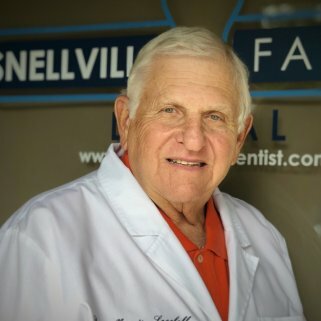 Discover how to get your smile back. 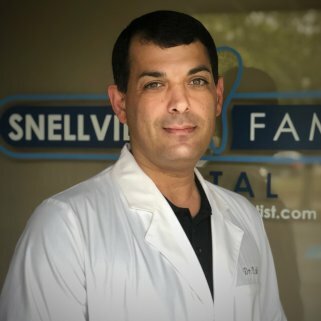 Is it after hours and you have a dental emergency? We're here to help. 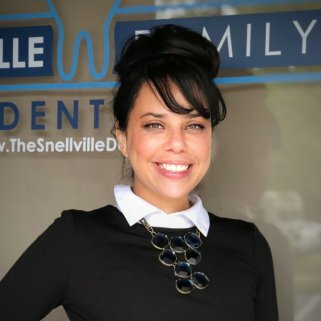 Are you embarrassed to smile? 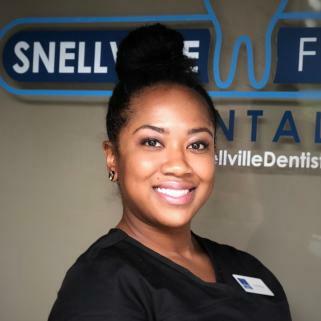 We can help make your smile your best asset. Contact Us to get your estimated out of pocket costs.